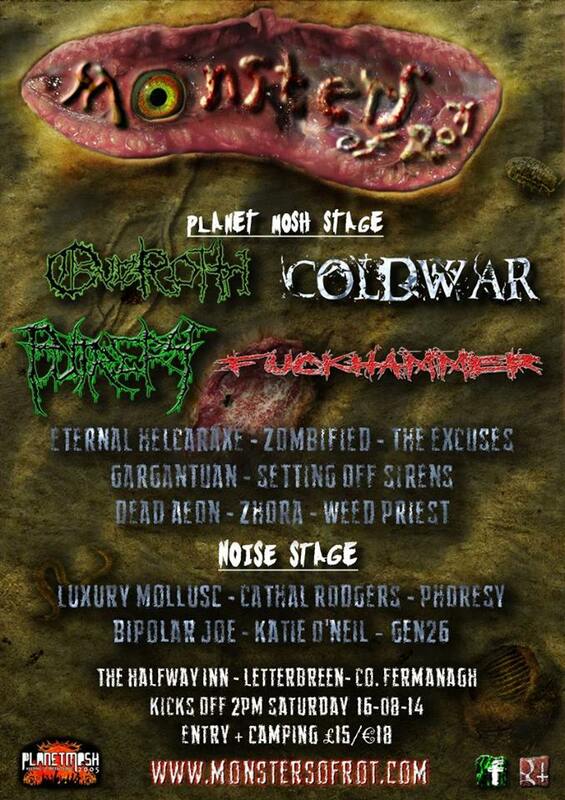 This entry was posted on May 16, 2014 at 4:32 pm and is filed under Gig Listing, Music, News with tags 2014, Bands, BIPOLAR JOE, CATHAL RODGERS, Coldwar, Dead Aeon, DRECK, ETERNAL HELCARAXE, Fuckhammer, Gargantuan, GEN 26, KATIE O'NEILL, line-up, Lineup, LUXURY MOLLUSC, MAXIMUM TERROREM, Monsters of Rot, Overoth, PUTREFY, RUAIRI O'BAOIGHILL, SETTING OFF SIRENS, weed priest, ZhOra, Zombified. You can follow any responses to this entry through the RSS 2.0 feed. You can leave a response, or trackback from your own site.